The following is being pasted from my old blog; click here for a discussion on the post. Bushra Gohar is one of my personal favorite women in contemporary times. It makes me so proud that she’s Pukhtun, too, because she’s quite an accomplished woman, and whenever I lose hope in my people, I think of her to feel hopeful again. What makes me happiest, though, is that she’s really easy to talk to and interact with. Very humble and down-to-earth. I know too many people, when they make it big, start feeling so big that they refuse to interact with us “smaller” people then. Gohar isn’t like that. In fact, I sent her a few questions in preparation for this post that I wanted her to answer, and she got back to me right away. There wasn’t any “I don’t have time for this average human blogger random Pukhtun girl to write about me” kind of responses, and she certainly didn’t ignore me. So, yes, her humility is something to certainly learn from. May God preserve her, and may she continue being a source of light for Pukhtuns and the world. Aameen. Please remember that this isn’t intended as a comprehensive biography of her life, her work, her achievements; this is merely an introduction. As noted above, I have a list of questions that I sent her for responses that she has answered in detail, and I’ll share those at the end of the post. Bushra Gohar was born in a village called Jhanda in the Swabi District in Pashtunkhwa (Pakistan) in May 1961. Her initial years were spent in her birth village, but her family later moved to Multan, where her father, an army colonel, was posted at the time and where she received her primary education at St. Mary’s Convent School. They moved to Peshawar in the early 1970s, where she did her Matric from Presentation Convent school. She earned her BSc from the University of Peshawar and her MS in Human Resources Management from Wilmington University in New Castle, Delaware, United States. She was also later enrolled in a post graduate programme at the University of Pennsylvania, in Philadelphia, USA, but had to leave the U.S. because of a family emergency. The university gave her a year off but the situation at home didn’t allow her to return. The situation was that she had lost two sisters and a niece in an air crash in Kathmandu, Nepal, and her eldest sister, who was a widow, had left behind four young children. Gohar decided to raise these four kids. But her case is different in that she “never followed or was influenced by his traditional patronage based politics, never received any benefit or support from him in any of my professional/political decisions,” she tells me. In the Youtube interview referenced above, she says that she’s currently taken up issues related mainly to peace and security, including women’s and children’s rights. She believes that one of women’s major struggles in Pakistan is being recognized, and she believes that the system isn’t helping much in changing this. She’s been dealing with women’s rights and ensuring gender justice for all for some time and feels as though it’s not getting anywhere. She discusses this more, along with suggestions, in referenced interview, so feel free to check it out. Gohar joined the ANP because of its relatively more progressive and secular views as well as seeing women as equal members of society as men and welcoming women as leaders into the party. 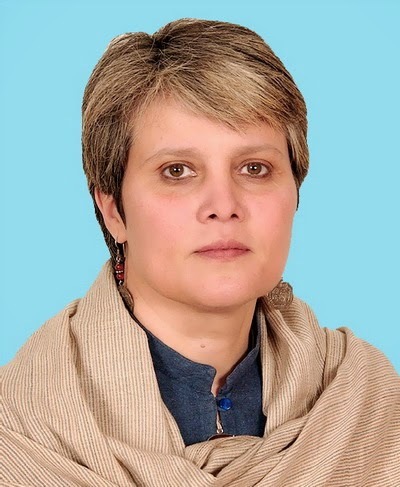 She is the Senior Vice President of the Awami National Party (ANP), a Pashtun political party in Pakistan, and was elected as a Member of Parliament on reserved seats for women in 2008. She’s also the Chair of National Assembly’s Standing Committee on Women’s Rights and Development; a senior member on Standing Committee on Foreign, Finance, and Kashmiri Affairs; and a member of the Working Council of the Women’s Parliamentary Caucus. 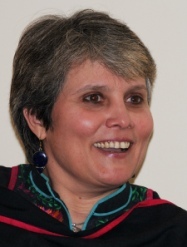 According to the book Women, Political Struggles and Gender Equality in South Asia (Gender, Development and Social Change) (edited by Margaret Alston, published in 2014 and available on Google Books), Bushra Gohar is content with the life and career that she has chosen for herself–because she chose it specifically to bring positive change in her society. But her choice hasn’t been without any personal sacrifices: she is not married, and does not have any kids of her own. The book quotes her as saying, “In my line of work, I found it simply impossible to find a balance between family life and a career in politics.” (I would provide page numbers, but unfortunately, the book has none!). There’s so much I want to say about this problem–namely, that so many women in our society (and I get that this is a universal problem, but we’re talking Pukhtuns/South Asians here) are forced to choose between a career, being leaders and doing something good for their communities and the future of their people, versus being wives and mothers. And let’s face it, in our society, it’s not easy for a woman to be a wife/mother AND a community leader at the same time. But I’ll deal with this topic another time. Of course, like most other women who speak up and make themselves known to the world through their work and opinions, she’s received threats, one of which was that if she doesn’t’ stop what she’s doing, they (whoever sent her the threats) will throw acid on her face (see 14:32 of this clip). But she knew that it was a low attempt to push her back, to silence and intimidate her, and so she refused to be silenced. – Bushra Gohar is mentioned–along with other remarkable Pukhtun women, such as Shad Begum–in the book I mentioned above (Women, Political Struggles, and gender Equality in South Asia). – She’s also interviewed for the book Pakistan: A Hard Country (2012), by Anatol Lieven. – The Pashtun Women Viewpoint interviewed her about a year ago and talked with her about Pashtun women, Pashtuns in Pakistan, and politics. Orbala: What obstacles and struggles you have faced or continue to face as a female politician in our society and how you’ve dealt with those troubles? 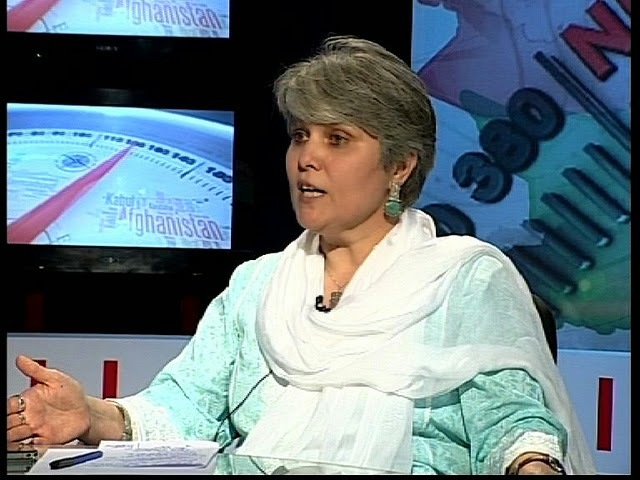 Bushra Gohar: Politics in Pakistan is hazardous especially for women. I made a conscious decision to join mainstream politics and was prepared for the consequences. I have received many threats to silence, frighten and/or intimidate me so that I don’t take up certain issues or challenge status quo. None have deterred me from my positions or my focus. My years of hands on experience in Human Rights and Development gave me the confidence to deal with challenging situations within the Party and outside. I had been actively influencing policy making at national and international levels much before I joined politics. The ANP was going through a transition and requested me to join the party. It took me sometime to make a formal decision. The party has given me a lot of space in the core decision making. Asfandyar Wali Khan and Afrasiab Khattak have been my mentors in politics and I have great respect for them. We have had serious disagreements on many issues but have never felt there was no space for debate. Despite a very supportive environment it has remained a struggle to resist traditional patronage politics. Also, keep reminding everyone that women have a right to be in politics and are not intruding. It is tiresome to constantly remind party and those outside that women have to be included in all decision making process as equal members. I have been able to overcome the challenges by not compromising on principles, not be intimidated, clarity of purpose and hands on approach to public issues and service. I have no tolerance for hypocrisy, lies and corruption. I have always tried to push the limits rather than accept the defined limits set by others for us. I must admit going against the grain can be pretty stressful at times. Orbala: According to your observations and experiences with Pashtuns, what do you think are the most prominent issues our women are facing? What do you think can be done about them? BG: Pakhtun women are faced with a number of challenges. In the last few decades they have been disproportionately bearing the brunt of terrorism and religious extremism. There is a growing tendency of self censorship which has further restricted women’s way of life and has pushed them back several decades. Society’s tolerance and acceptance of discrimination and violence against women makes meaningful change almost impossible. As if the use of tradition and selective interpretation of religion wasn’t enough to keep women out of the mainstream, security situation too is being used to keep them back and restrict their mobility. Much of what Pakhtuns are faced with is directly linked to the State’s policies of radicalising and Arabising Pakhtun society for strategic regional interests. Our schools have been targeted and destroyed and our children denied fundamental rights so they can be used as cannon fodder. We need strong political will to review and change our flawed policies and invest in human rights and development issues as a priority. Invest in access and quality education, health and employment for all. Zero tolerance for all forms of discrimination and violence against women. Women’s right to inheritance must be ensured. We need more women joining politics as active members rather than passively following their male family members in politics. Orbala: What kinds of misconceptions do you think people have of our (Pukhtun) women, and what misconceptions do our men have of women leaders? BG: The most common misconception is that Pakhtun women are homogeneous group with little or no education or control over their lives. That they are weak and need protection. That they don’t work outside their homes despite the fact a large number of women are engaged in agriculture, livestock and diverse fields. That they cannot deal with the challenges of a political career without a strong family male name or backing. I am often asked if I have a foreign or non Pakhtun parent when I travel around as I don’t fit their stereotypical Pakhtun woman. Men have great difficulty in accepting women as leaders. They believe it is their right to lead. They feel or probably wish that the Pakhtun culture is static for women and dynamic for men. Orbala: I want my readers to feel hopeful after reading about you – what are some positive thoughts you can share with us about the future of Pukhtuns, especially of Pukhtun women and their roles and rights in our society, that would inspire especially our women into positions of leadership? BG: Statistics show women politicians performed much better than their male colleagues in the previous Parliament. There is a growing recognition within political parties of the role of women in politics. More women need to join or actively engage with the political process if they want things to change. Rights have to be taken. This entry was posted in Death to patriarchy and tagged Pashtun women, Pashtun Women Leaders, Pashtuns, stereotypes against Pashtuns in Pakistan, why we need feminism. Bookmark the permalink. Do one on Malalai Joya, easily the most badass Pakhtun ever! Working on it 🙂 Soon, ka khairee. I love Malalai Joya – I love all the Malalais, actually!